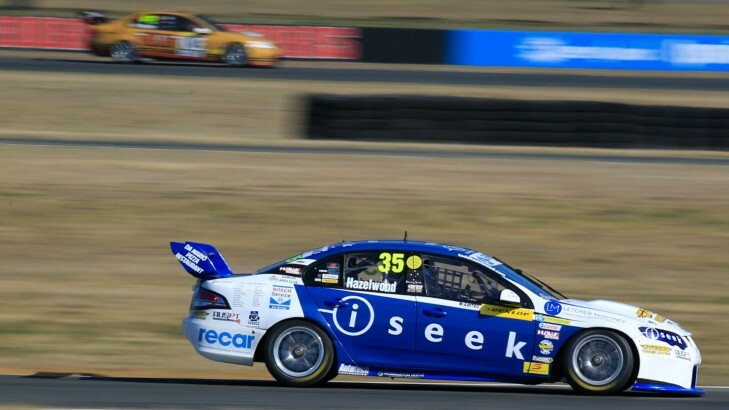 Buoyed by his pre-Bathurst test, iSeek Racing's Todd Hazelwood is hopeful he can clinch his first V8 Supercars Dunlop Series podium finish at the Supercheap Auto Bathurst 1000. The 20-year-old enjoyed a solid run at a team test in the lead-up to Bathurst, with his Matt Stone Racing squad running through set-up programs and making adjustments to the #35 for the penultimate race of the season. Although the recipient of the 2014 Mike Kable Young Gun Award is a consistent front-runner in the V8 Supercars Dunlop Series, he is yet to step on the podium for a race or round this season. But this weekend, Hazelwood believes he's on form to finally crack the top three at Mount Panorama and improve his current standing of fifth in the series points. 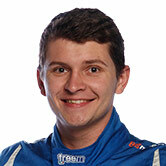 "Two weeks back the team at MSR and I tested at Queensland Raceway," Hazelwood said. "We made really good progress, so hopefully it all translates this weekend around the mountain and achieve the best result possible. "I have been working very hard behind the scenes for this event, so hopefully the work will pay off and we can achieve a strong result in return - fingers crossed we can keep moving forward in the series." Mount Panorama treated Hazelwood well last year, with the South Australian racer finishing fifth on his maiden assault of Bathurst. "It literally blew me away," Hazelwood said of his first experience of the hallowed circuit. "Last year was an exceptional result for the team and I, realistically thinking it would be very tough to achieve a top 10 result, but we managed fifth on debut. "It was a long and tough race, and we managed to have a fantastic and memorable weekend ... for my first time in a V8 Supercar at Bathurst I could not have asked for more!" While he's confident on improving last year's result, Hazelwood is not underestimating the challenge of the mini-enduro, and what it takes to successfully navigate Bathurst's hallowed terrain. "The level of commitment and concentration required around the mountain makes you fatigue faster than any other circuit in the country... with the fast mid-corner speeds and huge undulation, it's something I rarely get to experience throughout the year. "It's a big shock to the system when taking the first few laps around Mount Panorama in Practice, but once you get into a rhythm and start clocking consistent lap times there is no better feeling as a driver." Hazelwood takes to the track for first practice tomorrow at 10.20am.